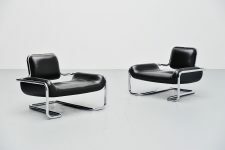 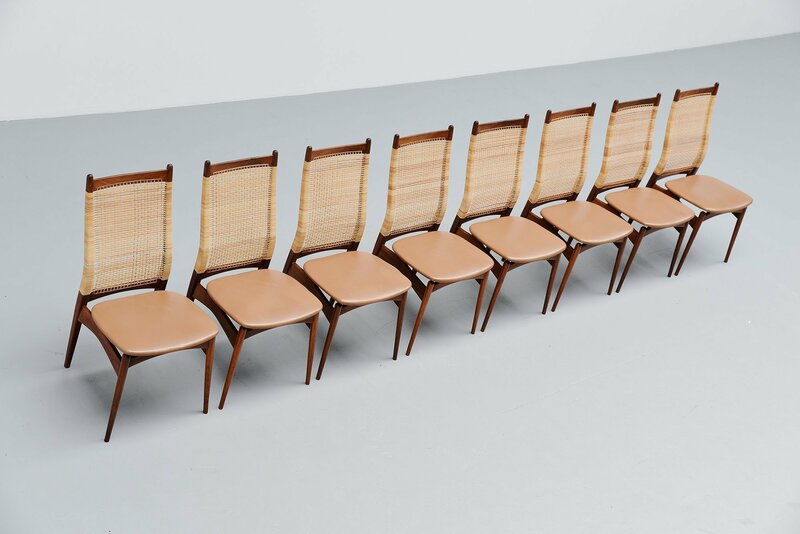 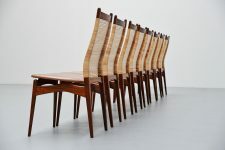 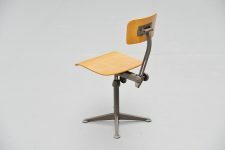 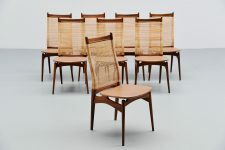 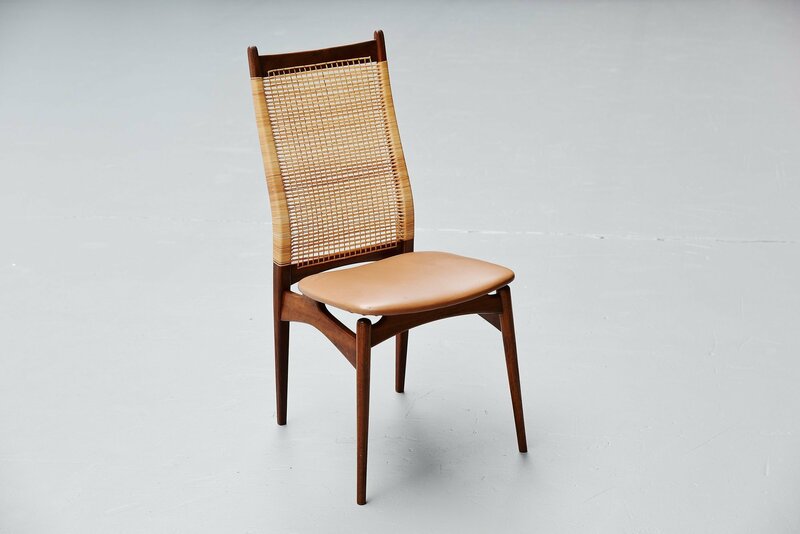 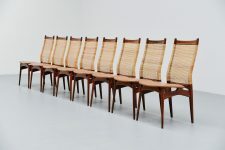 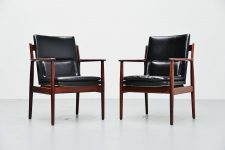 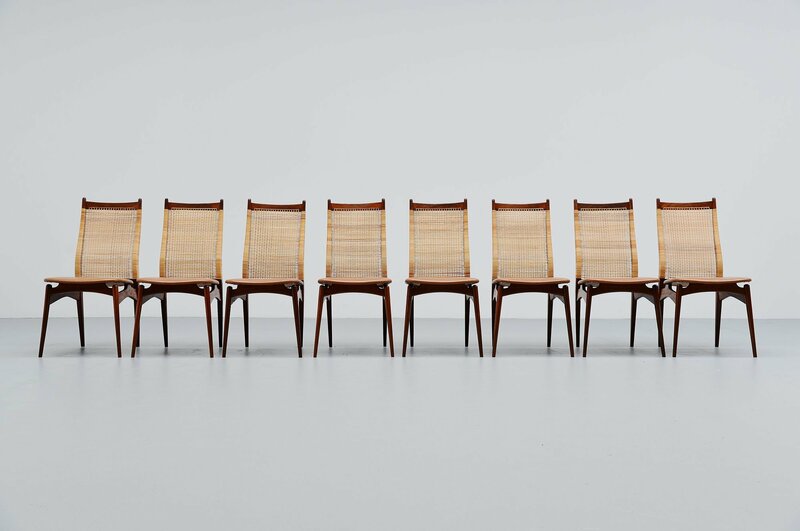 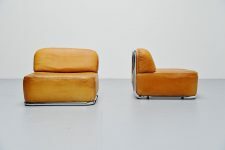 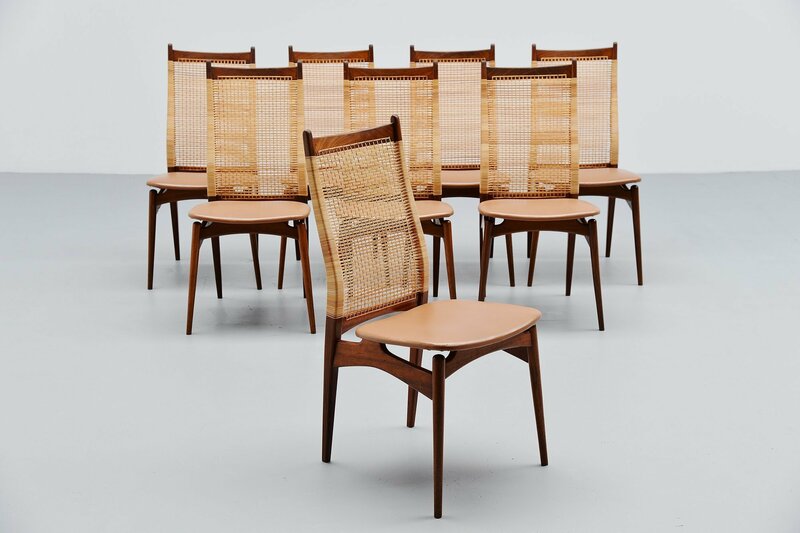 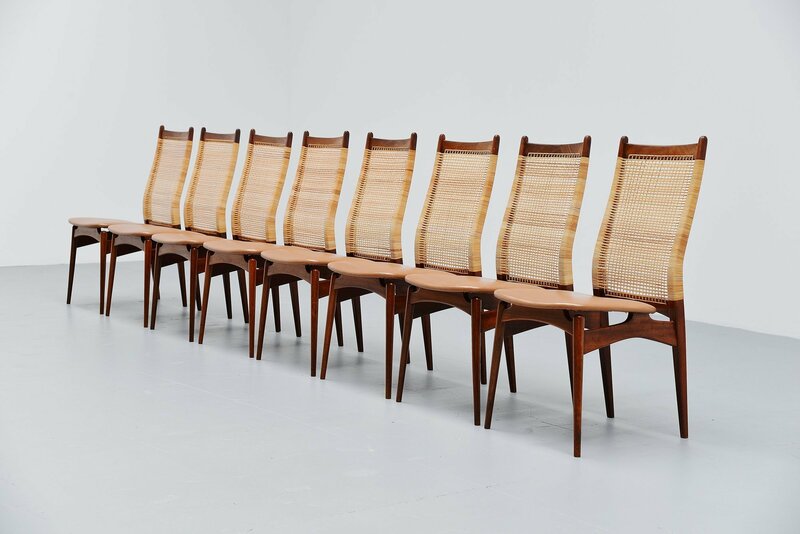 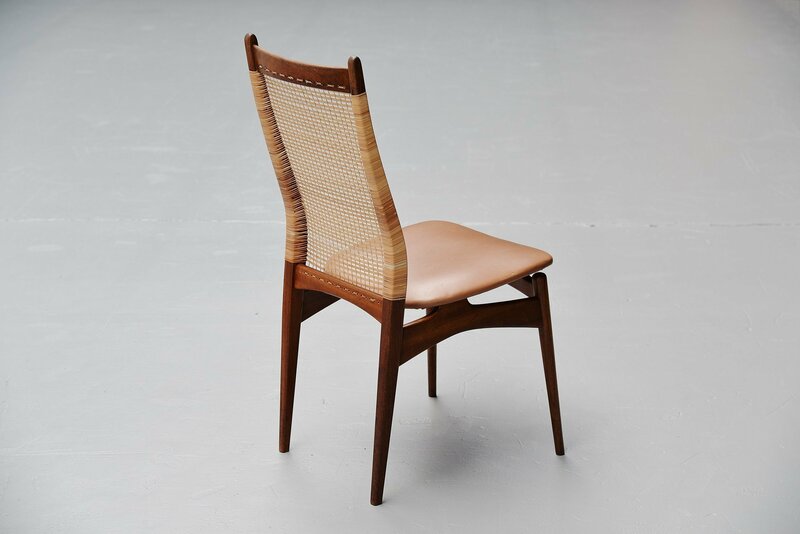 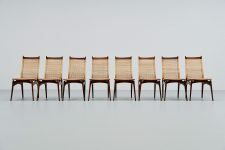 Nicely shaped dining chairs designed by Jos de Mey and manufactured by Van Den Berghe Pauvers, Belgium 1957. 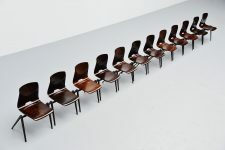 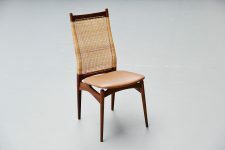 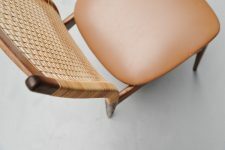 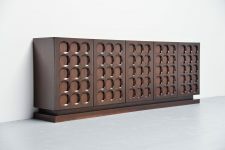 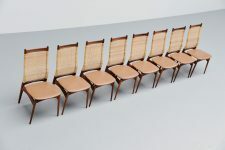 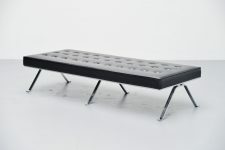 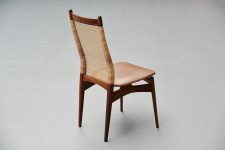 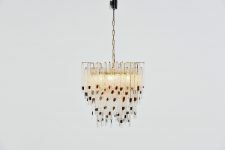 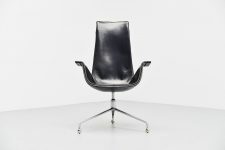 The chairs are made of solid teak wood, have a cane back and light brown faux leather upholstered seats. 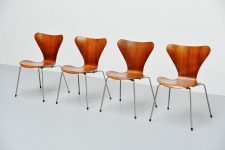 The chairs are in good original condition and seat comfortable. 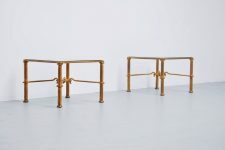 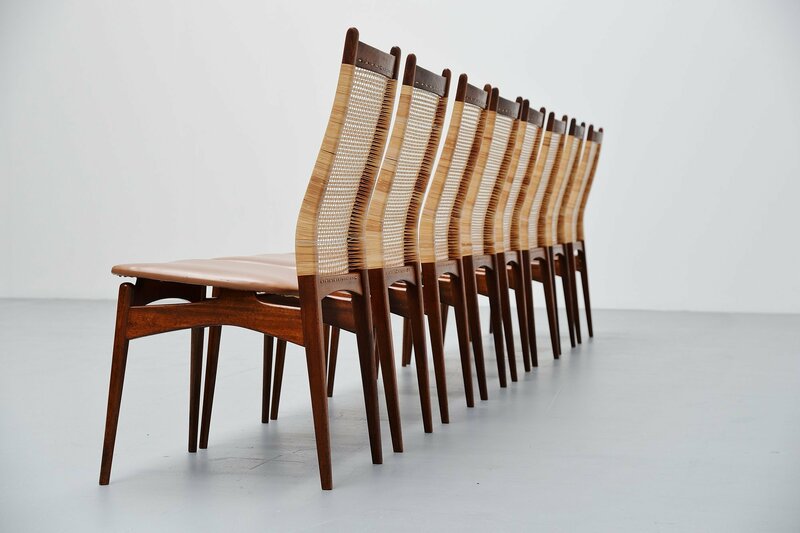 These are very nice sculptural and comfortable high back dining chairs.